CooksRecipes has quality, kitchen-tested recipes for a variety of meat and seafood dips that are perfect for parties and entertaining. 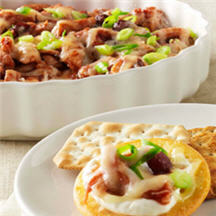 This delicious barbecue-flavored chicken dip is sure to get rave reviews at the party! 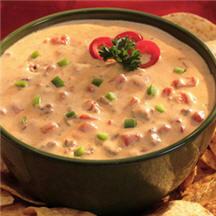 Your party guests with love this chile cheeseburger in a dip, dip! 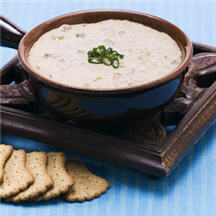 This hot and creamy crab dip is beautifully garnished with thinly chopped green onions.